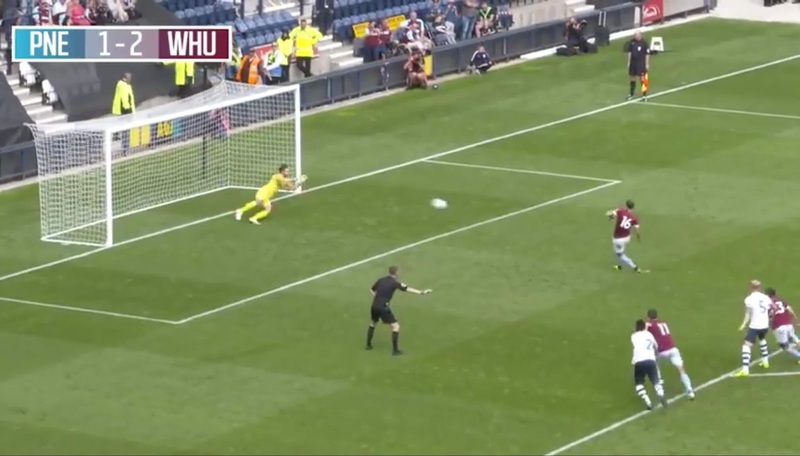 Verywestham: Bizarre Scenes at Preston as Hammers Shoot themselves in the foot! Bizarre Scenes at Preston as Hammers Shoot themselves in the foot! West ham continued their preseason campaign with a lively encounter at Preston this afternoon. 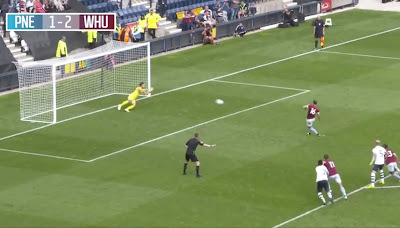 The game finished 2-2 as Marko Arnautovic continued his excellent form with two well taken goals, while the youthful centre back pairing of Issa Diop and Declan Rice were caught napping for both Preston goals. However, the big talking point was a rare sighting of a missed-Noble penalty. Last seen in 2016, Captain Claret rarely fails to convert but the Preston keeper pulled off an excellent save to deny Noble! During his career, Noble has missed just 4 penalties and has converted 31 (in competitive matches). In contrast, our most prolific penalty taker was Ray 'Tonka' Stewart who scored 76 penalties for West Ham and missed just 5 in his career. Julian Dicks was undoubtedly the most flamboyant and missed 5 while scoring 34 penalties for the Hammers. However, the best overall record is still that of Sir Geoff Hurst who converted 18 and missed a single penalty in his Hammers career.